Bloom was envisioned to be the ultimate floral experience in the city of Buffalo. It had to be not only a gift and floral shop, but a space that would nurture creativity and assist our clients into turning their visions of a dream wedding or special event into reality. After several months of planning, Bloom opened its doors on April 1, 2010. Word spread quickly, through friends and family and from the stunning window displays that Orlando created, pulling in customers as they walked by the shop. Located in the newly renovated Granite Works district, Bloom is minutes away from downtown Buffalo. 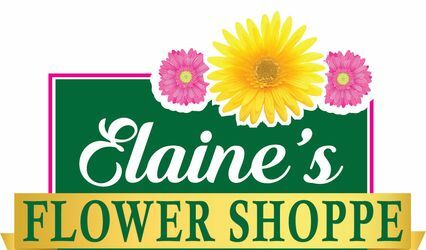 As an upscale florist and gift boutique, Bloom specializes in unique gift items, trendy decorating accents, and on-the-spot floral design. When you choose Bloom to create your bouquet you can be assured that your order will include only the freshest, most beautiful flowers. You won't find flowers at the end of their lifespan or receive inadequate substitutions. We take great pride in our work and strive to deliver only the best. Dan and Kevin were a joy to work with!! They really seemed to grasp my vision for flowers and made gorgeous bouquets that stayed within my price range. They were incredibly affordable. After a consultation, a color swatch and some reference pictures they just seemed to create magic. My flowers were absolutely perfect! Dan and Kevin hand delivered the flowers themselves! My bridesmaids’ bouquets were all in water vases, my bridal bouquet was freshly misted and well packaged. Each corsage and boutineer were individually packaged and labeled, as well as freshly misted. My bouquet looked beautiful for a few days after the ceremony and the flowers were of excellent quality. Huge fresh roses and not a wilted petal in sight!! They did such a good job I almost wish I had gotten them to make centerpieces for my wedding as well. I was disappointed when I heard Orlando left Bloom, after-all I did start the wedding planning with him and he fully grasped my vision. Upon receiving a letter from the owner about his departure I immediately thought now what!. I met with Dan and he recorded every detail and I met another man who was making the most amazing restaurant centerpiece I have ever seen. So, this all put my mind to ease. I will have to tell you, my flowers were unbelievable. Far better than I expected. The bouquets, the boutonnières, the corsages....one better than the next! When I saw the reception space and the table centerpieces, I actually cried. EVERY Table had exactly what I wanted. 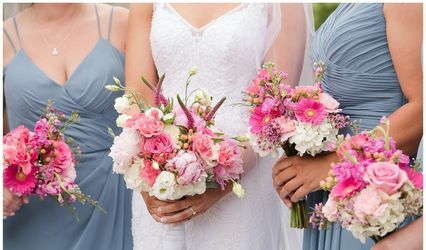 Cascading flowers, greens, hydrangea, and so much more. Every candlestick and lantern was placed exactly as I diagrammed. THE ATTENTION TO DETAIL WAS BEYOND WHAT I EXPECTED. Every person I encountered at Bloom after Orlando was professional, kind, and more than accommodating. I admit was was nervous at first because Orland has such a great reputation. But I know I couldn't have done better than the manager Dan and all his staff. 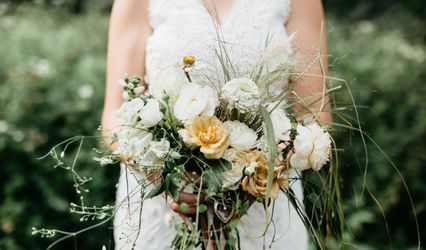 I had the wedding of my dreams and will highly recommend dan and Bloom Floristry to anyone. I worked with Orlando on my wedding. I told him I wanted Great Gastby and he made it come to life. From gorgeous linens to the most incredible bouquet and everything in between, I had the most amazing wedding. Orlando made my ceremony space more beautiful than I ever could have imagined. From the rose petals in the aisle way to the backdrop for my ceremony, I was in love from the minute I saw it. I even had a customized wagon to pull my baby in that Orlando painted and matched to my theme. Everything was just perfect! Orlando made the most beautiful center pieces with feathers and chandeliers. It looked incredible and I couldn't have asked for more. The linens were stunning and my sweetheart table was absolutely beautiful. His attention to detail extended to the cocktail area with lamps and ivory roses dipped in gold glitter. It was so gorgeous! My place card table was just as beautiful. I loved everything about my ceremony and reception space. If you are looking for someone who can make your vision come to life, go with Bloom Floristry. Orlando will make your day amazing and you just get to enjoy it. You won't regret it!